Tomorrow’s Ash Wednesday. At my congregation’s service in the morning, I will smear ashes on the foreheads of a number of friends and congregation members. For some, this practice will be new, something that the churches in which they were raised rejected, calling it “too Catholic.” I find such objections puzzling, particularly because in my observations, whenever Protestants get serious about learning to pray, we end up looking to Catholics and Orthodox to teach us how. 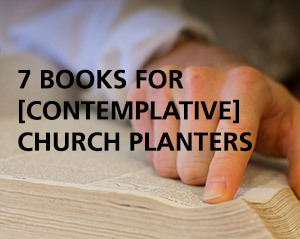 For a few examples: I join a group of other Presbyterian pastors every month at a Catholic monastery where we receive spiritual instruction from an older priest. My Presbyterian seminary offers a certificate program in spiritual direction based on the teachings of Ignatius of Loyola. Most non-denominational writers I’ve read eventually end up quoting at least one of the great saints of the Roman Church. As one such Protestant who likes to learn from Catholics, I was delighted to receive a review copy of a new book from Paraclete press: Catholic Spiritual Practices: A Treasury of Old & New. Edited by Colleen Griffith and Thomas Groome, of Boston College’s Church in the 21st Century Center, this short book is a collection of essays on various spiritual practices which some might think of as distinctively Roman Catholic. I say some because many of the practices included are common to all Christians. The essay on The Lord’s Prayer, for example, was written by N. T. Wright and highlights the small “c” catholicity of the practices described here. Joseph Wong’s chapter on the Jesus Prayer describes a practices that’s more commonly associated with Eastern Orthodoxy than with the Roman Church. Coming to the book from a Presbyterian background, I was especially curious to read the chapters on practices which I used consider distinctively Roman. Most such chapters did not disappoint. Groome’s chapter on the Rosary explained the practice and its historical development very concisely and accessibly. Brian Daley’s personal description of the practice of Eucharistic Adoration was also illuminating. My favorite chapter of the entire book, though, was Esther de Waal’s essay called “Living the Sacramental Principle.” In a narrative description of Celtic spirituality, de Waal shows how devotion to Christ can permeate even the most mundane elements of life. These five pages are worth the price of the whole book. In fact, it could be the point of the whole book. 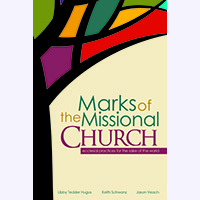 This tiny collection of essays describes itself as a treasury of practices, meaning “consciously chosen, intentional actions” which express and shape our lives of faith (p. 5). When one faithfully practices such practices, one is changed, having acted one’s way into a new way of thinking and being. A life spent practicing some of the disciplines described in this book is exactly how one can cultivate a sacramental worldview, “letting heaven break through,” as de Waal writes, to “let the mundane become the edge of glory, and find the extraordinary in the ordinary” (p. 67). For being such a slim volume, this book is heavy with the weight of glory. The Prayer Book of the Early Christians is a collection of prayers and prayer services modeled after the liturgies left to us from the ancient Church and used today in the Eastern Orthodox tradition. And having drawn from such deep wells, this prayer book presents its reader/user/pray-er with a treasury of “prayers that have been tried and proved” (p. ix). I am thankful to John McGuckin for editing this collection (and to Paraclete Press for sending me a copy to review). As I’ve used it over the past week and a half, I’ve noticed a few things worth sharing here. Showing devotion through our actions, especially when our hearts don’t want to do so, can be one way to cultivate the heart’s participation in prayer. Over time, the disciplined practice of these prayers will yield the fruit of an inner disposition of fear, reverence, and deep love of God. (2) This approach to prayer also requires a different relationship to time. If you’re already accustomed to using prescribed prayers for different hours of the day, you might be used to shorter liturgies. One can pray through an office of The Divine Hours or Celtic Daily Prayer relatively quickly. These take longer. It took me thirty minutes to pray through the Matins liturgy on Sunday morning. 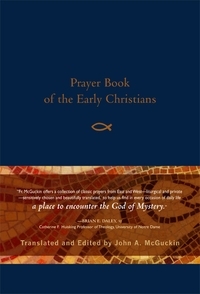 McGuckin notes that “Twenty minutes seems a long time for a pressed twenty-first-century dweller,” but once we dive into these longer and richer prayers, “those who swim the ocean of prayer find that time starts shrinking” (p. xv). Increased time spent in prayer is never something to regret. It’s time spent in the life-giving Light of Christ, and the more we experience this Light, the longer we’ll want to bathe in it. At first, I laughed at the “I thank you God that I’m not a carnivore” tone of this prayer (see Luke 18:11). But when I considered its deeper meaning, I was humbled and convicted. The person praying this is thanking God for simplicity, not luxury. How often do we thank God for the ability to make do with less? And the person who prays this acknowledges the violence inflicted upon creation by our appetites. When we eat meat, how often do we really give thanks for the lives of the animals whose flesh we consume? I’m not a vegetarian (at least for most of the year), but God did use this prayer to convict me about the excesses in my own consumption of food. It seems these prayers provide avenues not only for us to speak to God, but for God to speak to us.